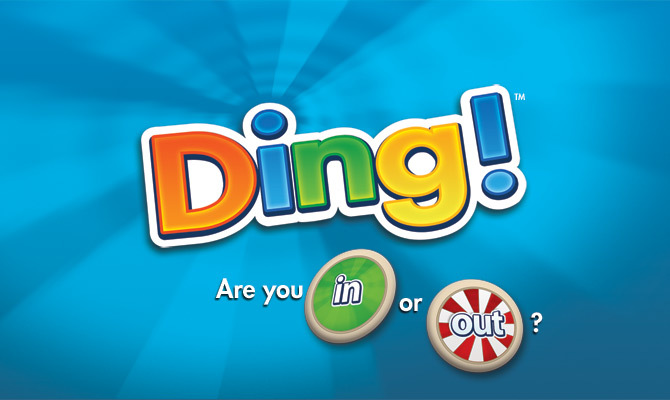 Make Some Noise With Ding! Ding! is a fast-paced, trick-taking card game. You don’t need a partner, but you do need guts! Race around the game board by taking tricks either one by one or by playing a Ding!, a special move worth five tricks that propels you forward while sending your opponents backwards! 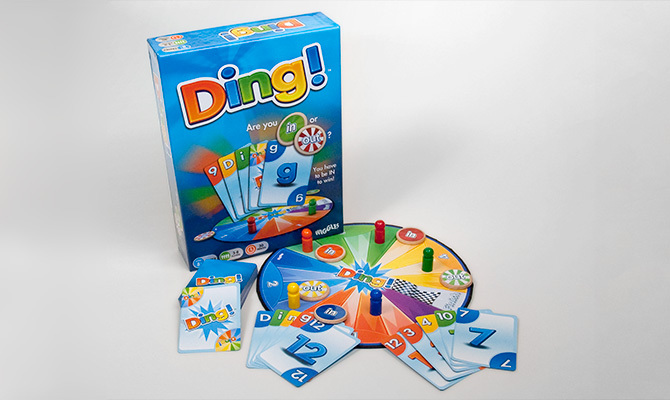 You start with five cards and can exchange up to three of them for new cards to try to spell Ding! or build a better trick-taking hand. However, you must take at least one trick a hand or you move backwards, further away from the Finish line. 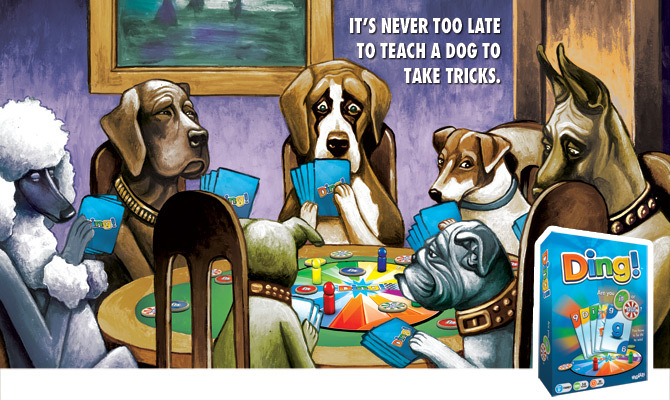 You can opt out of any hand‚ after all, the closer you are to winning, the more you have at stake. But remember, if you aren’t in, you can’t win!